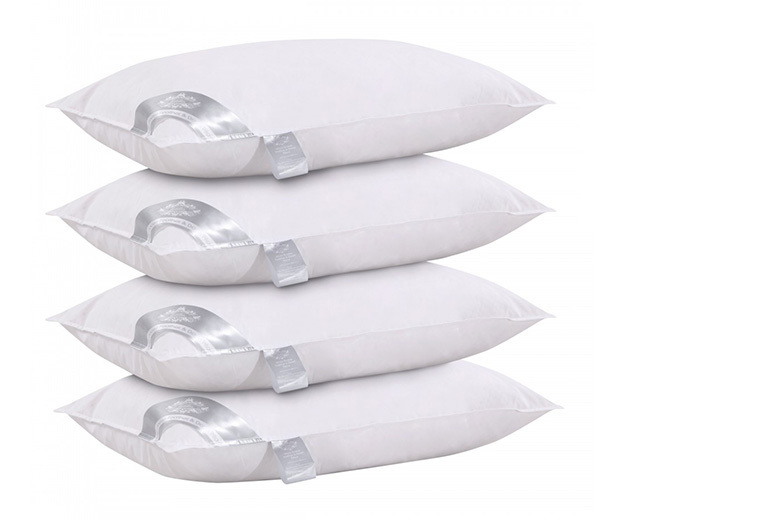 Sleep softly on some luxury goose feather and down pillows. Stock up with the option to purchase 4 pillows! Made with 85% goose feather and 15% goose down. The 233-thread count cover guarantees durability and breathability. Dimensions of one pillow: 19″ x 29″ (48cm x 74cm).